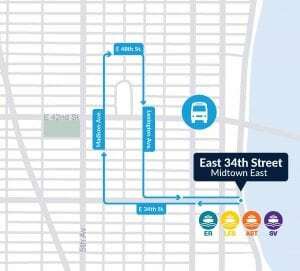 The Astoria route of NYC Ferry by Hornblower will connect the growing residential and business communities of Western Queens and Roosevelt Island. Weekday Schedule for astoria ferry route. Q102 on E Main St.
F Train on W Rd. Roosevelt Island Tramway between W Main St. and E Main St.